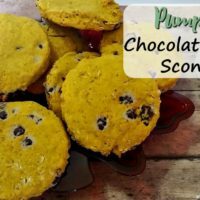 Have you ever wanted a freshly-baked cookie, but didn’t want to go through the hassle of making an entire batch and don’t want 30 cookies laying around? Well, you totally can when there’s already-made dough in the freezer! Yes, you do have to make the dough beforehand. 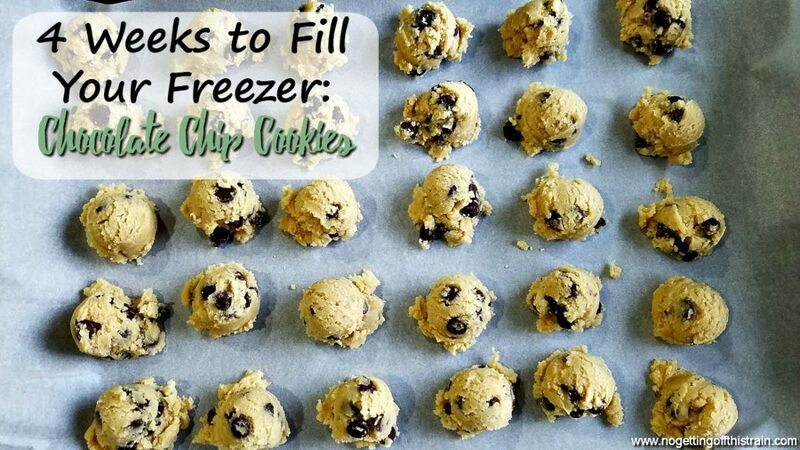 But just imagine having cookie dough in the freezer, ready for you to just pull a couple out and bake. No huge fuss and no leftover cookies. I ended up making these Freezer Chocolate Chip Cookies the day before Thanksgiving. Yes, in between prepping everything else I still made this. What is wrong with me? 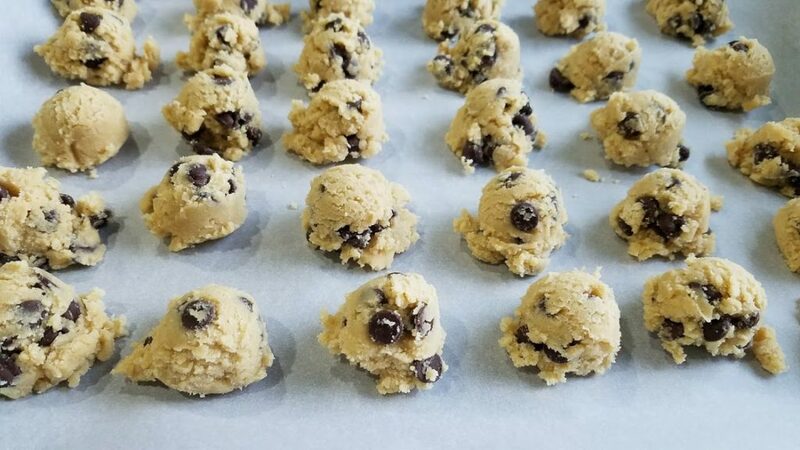 So instead of baking these cookies, you just make the dough, scoop into balls, and freeze them. I know it’ll be tempting to just pull one out and eat plain, but it’s raw cookie dough so I advise against it! Especially don’t get them confused with the Peanut Butter Energy Bites. 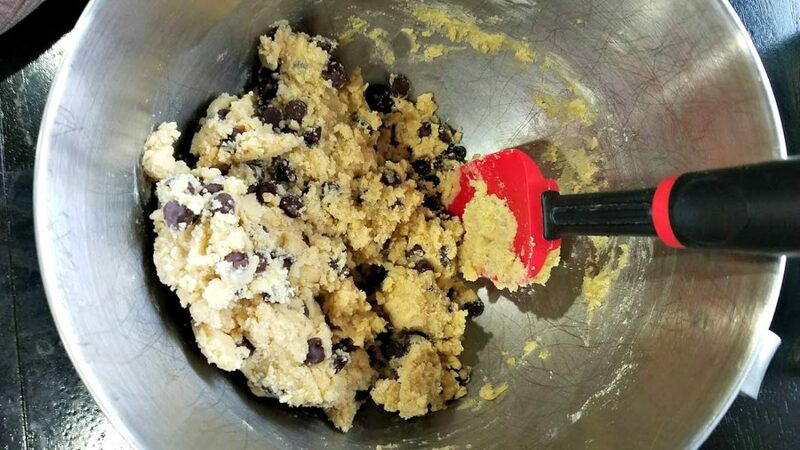 When it comes time to bake these cookies, allow an extra 2-3 minutes of baking time if the dough is frozen. Alternatively, you can let the dough sit out for a short while before baking. Either way, just watch your cookies closely as they bake so they don’t burn. This would be a good Christmas cookie recipe, too! Last year I made cookies for all of our family and for my women’s group, and I prepared and froze all the dough beforehand. That made SUCH a difference in my stress level because I was able to do all the hard work beforehand. Trust me, you’ll want to keep these around. 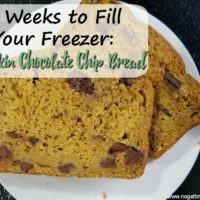 It’s super convenient to have already-made dough in the freezer to pull out whenever you need a sweet treat. Cookies in the freezer? Yes please! 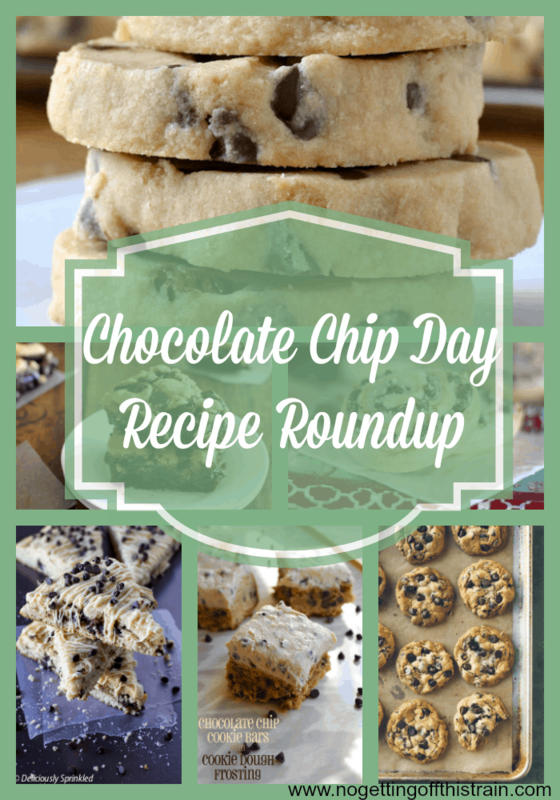 These Freezer Chocolate Chip Cookies are the perfect dessert to keep on hand at all times! In a mixing bowl, add the butter and both sugars. Beat in an electric mixer for 2 minutes until smooth. Add the egg and vanilla extract and mix. Slowly add the flour mixture until just combined. Stir in the chocolate chips. Using a cookie scoop, scoop out onto 2 cookie sheets lined with parchment paper. Bake for 8-10 minutes until the edges just start to turn brown. 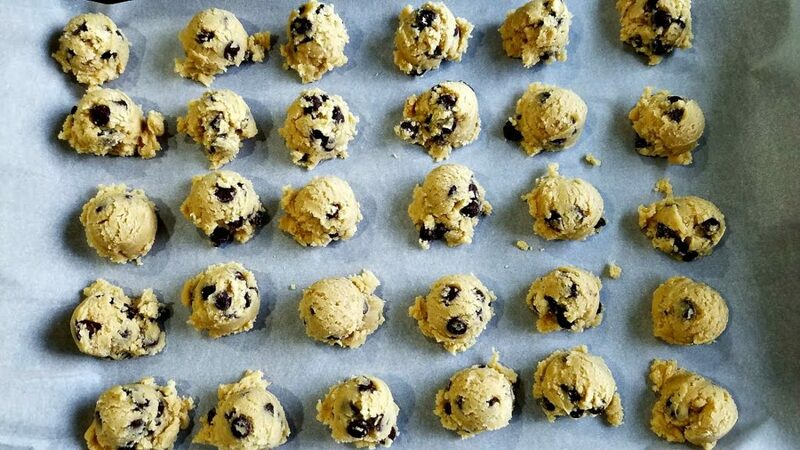 To freeze, don't bake the cookies. 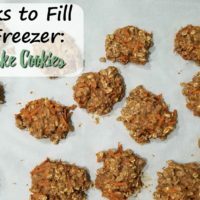 Scoop out onto a cookie sheet lined with parchment paper and put in the freezer. When completely frozen, transfer into a gallon-sized freezer bag. When ready to bake, take out however many you want to bake. If still frozen, add another 2-3 minutes to the baking time, keeping watch to make sure the cookies don't burn.